It seems God of Ramen is updating again! I love that comic! Justified, yes. But is it left-justified or right-justified? That bread kneads some positive vibes, so I thought I’d offer some crumbs of comfort by toasting his good health. I guess, whichever way you slice it, we all have a crust to bear. Just doughn’t let it get you down too much. I’m confident that the bread will rise. Whoa I have the wrong picture for that comment. 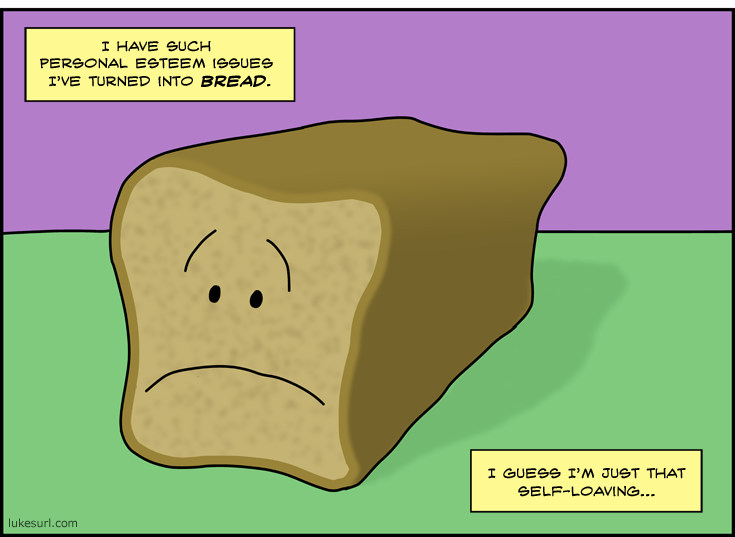 If you keep up the puns you’ll end up below the bread line. Good comic. How did you get the colors to keep changing like that?